YES! I was on the radio. Proper radio!!! 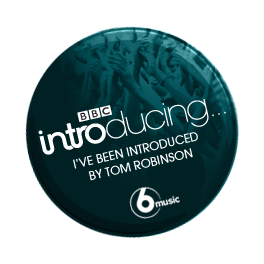 I thought that having 'Fragile Girl' played on BBC 6 Music Radio by Tom Robinson was exciting BUT Zack and I headed to Luton to be interviewed by Iain Lee on BBC Three Counties Radio on Friday 27th September…an ACTUAL interview!!! It was a tad early for Zack and I as we'd been up late rehearsing a Monkees cover especially for Iain as he's a mega fan! You can listen back to the show below. It was also really nice to hear my friend Adam Glynn doing the travel news as well (Radio Northwick Park massive)! It was such a fabulous experience. We got to sing 'Fragile Girl' and 'I Wanna Be Free' by The Monkees. I felt we'd done really well following a bout of nerves and Iain said after we'd done the cover "dare I say…better than the original". Well…you'll hear what else he said if you give it a listen.